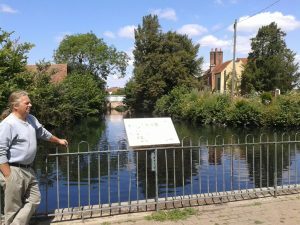 Join Thames21, Citizen Crane and the Friends of Headstone Manor to help clear up the Yeading Brook at this historic site. We will be tidying up the river and bank along the Yeading Brook and carrying out conservation tasks. This will also be an opportunity to join the Citizen Crane Volunteer Groups that monitor the health of the river from the source of the Yeading Brook at Headstone Manor to where the River Crane enters the River Thames. We will be pollution spotting, taking water samples and carrying out River Fly Monitoring (RMI) , a national scheme to look at the invertebrates in the river to assess its health on a monthly basis.